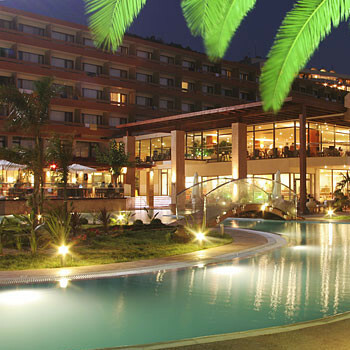 When we had our holiday in this hotel it was the worse two weeks holiday we ever had. The only good thing to come out of it was the flight from the airport. We and many other holiday makers complained about the rooms and the food it was below basic, our advice to anybody would be to check this out before you go. We travelled to Paleokastritsa for our son's wedding. We were the only 2 at this hotel but we were with a family party of over 30 people in the resort itself. Our hotel was a joke. As we arrived in our room the place was swimming with water as the toilet area had just been cleaned. The furniture would have been thrown out by Noah. I've had better in the forces in the 60's. Black gloss wooden dressing table,black bedside cabinets, and 2 black gloss single bedframes. It didn't get better when we ate downstairs. The food was very, very basic.Halfway through the week we could smell burnt peas in the bar area, before we entered the dining room. On the table we had questionnaires about your meal that day. I gave in a bad report and the following day, at breakfast,I was approached by the manager as to why I had written a bad report. I asked him to first let me finish my breakfast and I would then speak to him. I met him in the lounge area later and he told me that he thought it was probably about the smell of burnt peas last night I said "yes". He said he nearly gave the cook the sack. I said he should have. I would never put my wife through the experience again and firmly believe Thomas Cook should remove it from their books. Wedding package fantastic, Outstanting natural beauty in the resort. When we stayed at this hotel we were unfortunate to have paid for half board, we ate out at all times after trying the hotel food! The staff did try and keep hotel clean but with mould on the walls and damp beds and electric sockets hanging off the walls i think the refurb is a little mor than the five years over due mentioned by another client, and yes hotel owner was fine until we complained about his hotel! We complained to our rep, as did nearly every other client in the hotel at that time, she told us that we were the first to complain.Oh no we weren't!! One of the other families found a box full of customer complaints under her desk. The Oceanis didn't have many satisfied customers that year! On our arrival there were people in reception waiting to be taken home, they warned us that we were the next 'victims'. The only thing we couldn't fault was the view, absolutely spectacular! We definately would not go back to the hotel but Paleo was fantastic. The views from this hotel are amazing. The hotel facilities are basic but comfortable. But you don't go on holiday to hang about your hotel do you? There is a large clean pool and the snack bar serves fab food until early evening. The hotel is quiet and would suit couples rather than families as there is not much to do for kids. The staff are really friendly and would do anything for you. We have been going for the last 5 years, so it must be good. We've only ever been B&B and have heard that the food in the restaurant at night isn't so good, but to be honest there are so many great restaurants in Paleo to try that I wouldn't bother going half board anyway. Not recommended for anyones with disabilities or older people as there are no lifts and no accommodation on ground floor. First impression may be that the hotel is very basic and could do with a refurb, but stick with it as it is worth it, just get a room with a sea view and you'll see why!! I have been to this hotel on 5 occasions and can say without reservation that it has the finest views you are likely to see with your eyes open. Some of the rooms may be a little on the poor side but generally you will see a picture postcard from your balcony. Costa and Theodora are fine people who have given me such a warm welcome I would not wish to go to another resort. I hope that all of you who read this will understand that a holiday in Greece is not about creature comforts as you will not find these in any apartment or hotel room. Basic is what you get at the Oceanis but its clean and in a fantastic location. I return every year with just as much enthusiasm as my first trip. If you go once you will go again! I lived and worked in Corfu for over six months in the town of Paleokastritsa. I practically lived in the Oceanis for this time. As other guests have pointed out the hotel is basic and is about five years past its refurb date. But you do need to stick with this hotel the family that run the hotel are very social and welcoming of the british tourist, but bear in mind that friendly exterior can turn nasty if you critise their hotel (also their home) They do try their best. The food in the hotel is poor, best to book B&B and eat out. The views are out of this world from the front of the hotel. If possible book a full sea view room, and expect to pay for it they will not give it to you for free just because you asked the travel agent to request it for you.